The VeeV Treetini is an interesting cocktail recipe that pairs the unique açai flavor of VeeV with the sweet taste of mango and elderflower. It makes a great happy hour drink and offers a fascinating flavor experience that you won't find in many other cocktails. This recipe was developed at Stingaree, a favorite San Diego nightclub that was closed down then transformed into the Omnia San Diego in 2015. The cocktail's featured distilled spirit offers the distinct flavor of açai berries (touted as a "super food") along with hints of prickly pear and acerola cherry. Adding the mango, orange, and elderflower to that profile creates a fruity martini that is nothing short of delicious and definitely extraordinary. In the bottom of a cocktail shaker, muddle an orange slice to release its juice. Pour VeeV, mango juice, and elderflower cordial into the shaker, then shake well. While you can buy elderflower cordial, it's also rather easy to make it at home. The catch is that you need access to the sweet flowers. They're a favorite among foragers in Scotland and the elderberry plant can grow in other parts of the world, including North America. As an alternative to the cordial, you can use an elderflower syrup or go the super easy route and buy a bottle of St. Germain Elderflower Liqueur. If you cannot find a straight mango juice, the fruit is pretty easy to juice at home. Mango nectar, which is found in many grocery stores, is a viable substitute as well. Though the taste will be slightly different, an açai-flavored vodka will make a decent substitute for VeeV. Absolut Berri Açai is a good option that includes blueberry and pomegranate flavors. Van Gogh Açai-Blueberry is another, though it has a dark purple color, so your drink will take on a completely different look. If mangoes aren't in season and you'd like to try a different fresh fruit, there are plenty of alternatives that juice well and would work nicely in the treetini. Try apricot, nectarine, papaya, or peach. Cantaloupe is an interesting prospect as well. How Strong Is a VeeV Treetini? 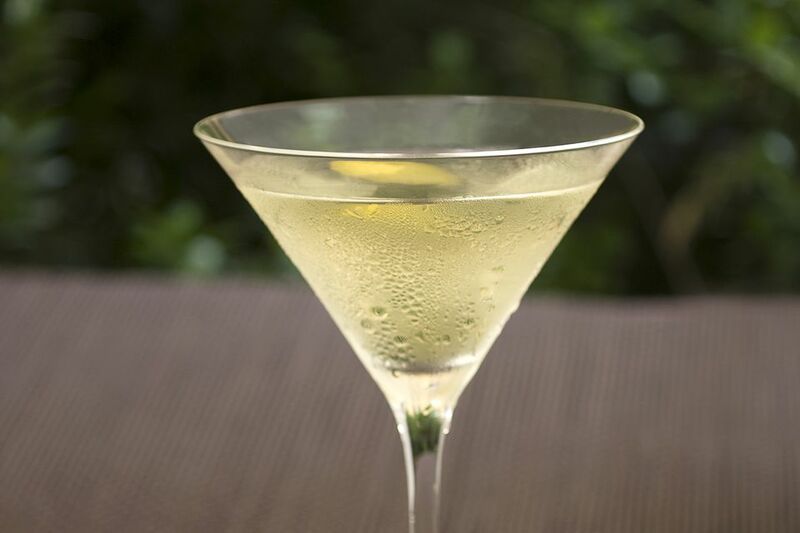 VeeV is bottled at just 60 proof, so it's a little lighter than the average liquor used as a foundation for martinis. Since it is the only alcohol in this cocktail, you can expect it to be nice and gentle, despite its bold flavors. On average, its alcohol content will be just 16 percent ABV (32 proof), making it slightly stronger than a glass of wine.